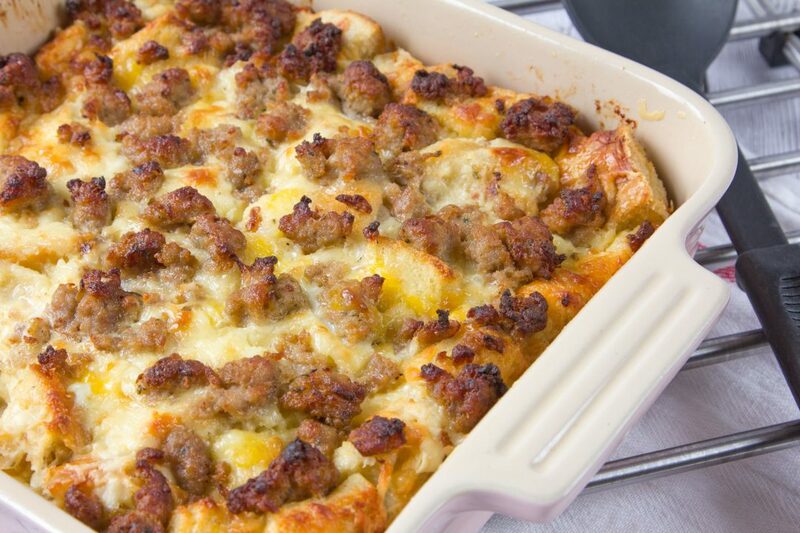 In a large skillet over medium heat, melt coconut oil and add in sausage, cook until brown. Beat eggs in an extra-large bowl. Shred sweet potatoes and onion in your food processor or blender. Mix into eggs with seasoning, almond milk. Coat 9x13 casserole dish with more coconut oil. Pour in egg mixture and stir in sausage. Cook for 45 minutes. Cover with foil and cook for 10 more minutes or until center is set. Optional: add greens or vegetables as desired.